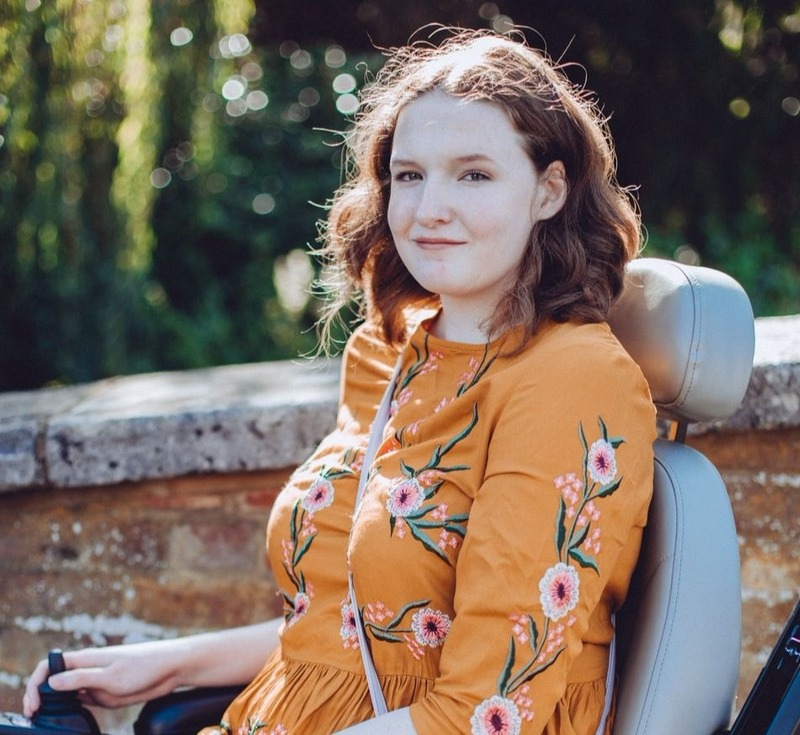 This time last year I did Georgina's Autumn Tag so it only seemed right to do it again this year, she's got a new set of questions for everyone to answer! Autumn is my favourite month, everything just seems to be right, it isn't too cold and it isn't too hot either and I love Autumn fashion. 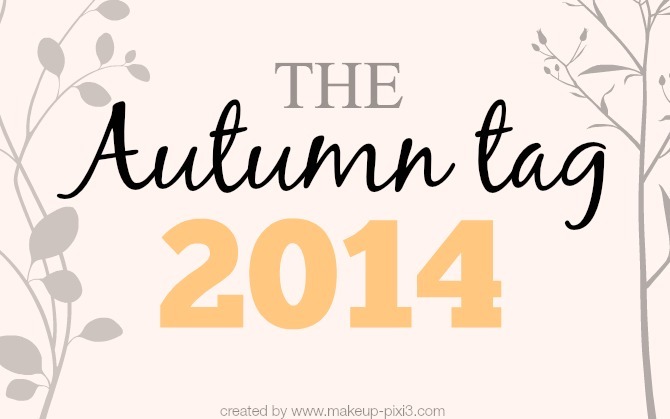 If you fancy reading my answers to the questions for last year's Autumn Tag you can do so here! 1. What's your favourite seasonal drink from Starbucks/Costa/Cafe Nero etc? Those who know me well know that I really don't like hot drinks, I'll sometimes have a hot chocolate but that's about it really. So, during Autumn you will still find me drinking Ice Tea despite being freezing cold, that's just me. 2. Accessories- what do you opt for: scarf, boots, gloves? My hands get so cold so gloves are a must from about October onwards! If I can find the perfect scarf this year I'll be welcoming that into my Autumn wardrobe but my face is so small that most scarfs just drown me unfortunately. It is all about Boots when it comes to the final months of the year for me though, I'm looking forward to treating myself to a new pair soon. 3. Music- what's your favourite music to listen to in the Autumn? I've actually been enjoying listening to music with a really happy dance-y feel recently. Everything seems to move a bit slower when it gets cold and grey so I like to wake up and listen to something that will get me going for the day. Other than that my music tastes don't change too much when the seasons change! 4. Perfume- what's your favourite scent for this time of year? My perfume doesn't change but I do change what room & linen spray I'm using when it goes from Summer to Autumn. I recently put my lavender scented one away and got out my black cherry & nutmeg one which is a stronger scent so perfect for Autumn. 5. Candles- what scents will you be burning this season? Ideally I'd love to be burning the Bath & Body Works Leaves candle which is just incredible and is Autumn in a candle but I haven't been able to get my hands on one this year. Instead I'll be working my way through last years Christmas yankee candles, yes I still have some left from January. I'm looking forward to finally being able to burn them! It has to be the changing colours of the leaves, it is just beautiful. I love going on walks and feeling the leaves crunch beneath my feet. Also it means you can get all the blankets out and be cosy and warm. Don't hate me for mentioning it but Autumn also means Christmas is really close so that is always a good thing! I really love sticking to neutral shades during Autumn but with a deep purple and navy blue thrown in here and there, I also put on more eyeliner during Autumn. Of course my favourite Autumn makeup look involves MACs lipstick in Syrup, it is just the best shade for this time of year. Just generally being very cosy and warm! The fashion as well, I love chunky jumpers and cute boots! I tag everyone who is reading this! I'd love to know what you like about Autumn. Thanks Georgina for creating another fab tag, you can read her answers here. MAC's Syrup seems perfect for Autumn!